Check Out Honda’s Tiny Concept RV! RV enthusiasts seem to be divided by size preference. 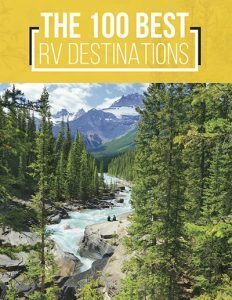 There are those who like to have the biggest motorhome they can possibly drive, carrying all the comforts of home with them. 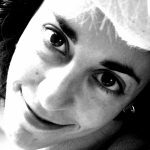 Then, there are others who subscribe to a more minimalist philosophy: keep it small, keep it efficient — not to mention affordable and eco-friendly. 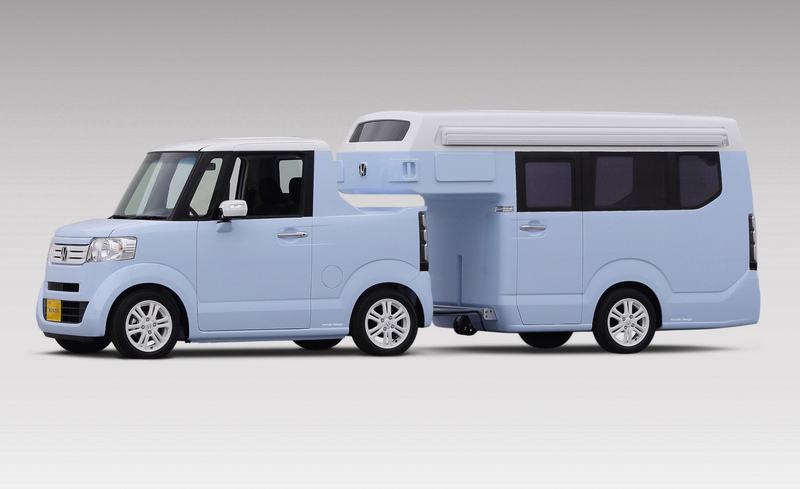 Honda’s mini concept RV is made up of a matched truck and trailer, rather than consisting of an all-in-one unit. The N-Truck is a Kei car. No, not the sedans made by Chevy in the ‘80s (that’s K Car). Kei is a class of very small vehicles in Japan, which are reduced in size, in an effort to comply with less stringent tax, insurance, and parking regulations. This Kei truck looks like a micro pick-up, and is essentially a Honda N Box car (think Scion, only smaller), with a notch cut out in the back. The tiny trailer in the back is designed to pair perfectly with the truck. In fact, the front of the camper overhangs the notch in the back of the truck, in a boxy yin and yang configuration. From an aesthetic perspective, the whole thing is nicely balanced; this is not always the case when it comes to mini vehicles. 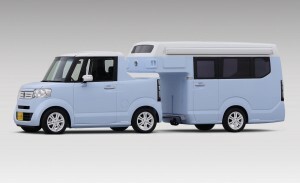 Honda’s concept RV is definitely not meant for families, as both the micro-truck and micro-camper are a little too compact for a lot of bodies. 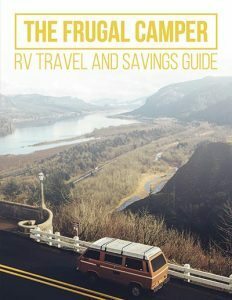 However, for individuals who just want a trailer to sleep in when they’re out camping, or for couples who like it cozy, the N-Truck/N-Camp could be a great and economical camping solution. We’d be remiss if we didn’t mention the inside of the model that Honda had for display at Japan’s Camping Car Show back in February. While it’s likely that someone could outfit the interior anyway they saw fit, the inside of this one had a loft bed up in the front, and then a small, but complete living room: two green velour chairs, a table, wood-like paneling, big picture windows, and awesome shag carpeting. We’re not sure how practical that last detail is in an RV, but it certainly looks groovy. NFS Now, But Maybe One Day? Again, Honda’s N-Truck/N-Camp is a concept RV, so it’s not for sale, and there are really no plans to put it on the market. However, perhaps it edges Honda into the camping gear biz, and it’s maybe an attempt to see how the Japanese Kei concept flies in the US. The initial response has been great, though; everyday campers and industry folks alike love the idea, love the practicality of a small camping rig, and love how cute it all looks. With enough buzz and enough interest, who knows? You might see this mini-configuration rolling into a campsite near you.